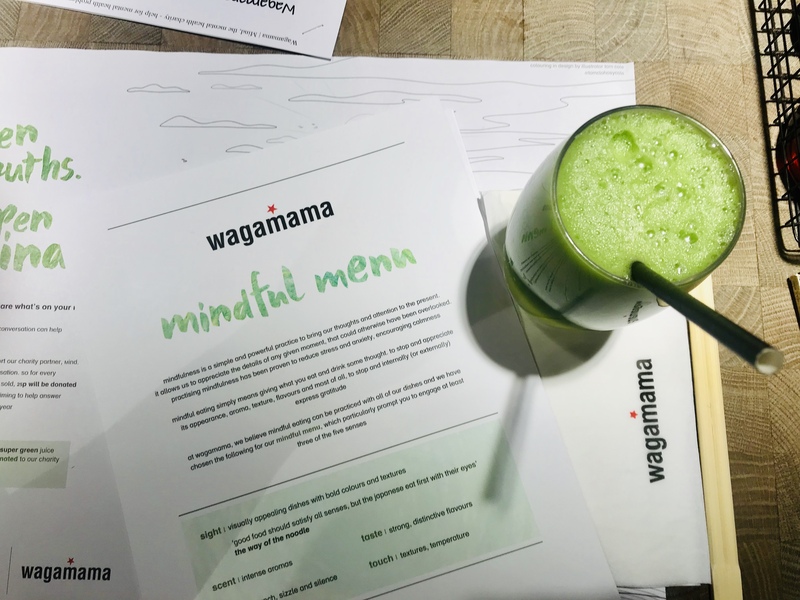 Not only is Wagamama encouraging mindful dining but it is encouraging customers to use dinner as a time to talk about what is going on in our lives, a starter or an opener for those difficult conversations. I’m here for it. There’s something a little bit easier about talking over food, it’s quite good at breaking down barriers. Sipping on some Positivity Juice! 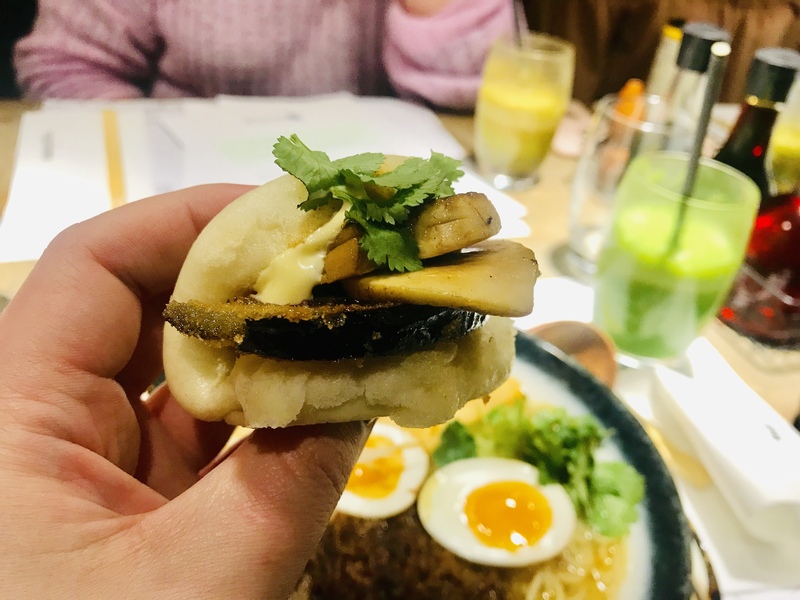 My favourite bao buns were on the mindfulness menu – I always order this when I go to Wagamama! 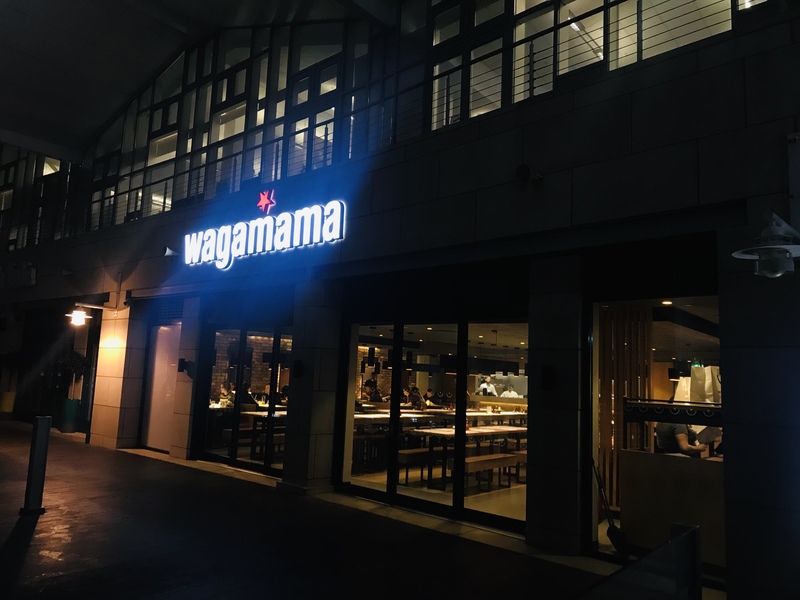 The Wagamama at Gunwharf Quays is right on the seafront, under the Spinnaker Tower, which is a beautiful location for dinner. Getting a bit of fresh air along the sea front always helps me clear my head and in the sunshine it’s a truly spectacular setting. 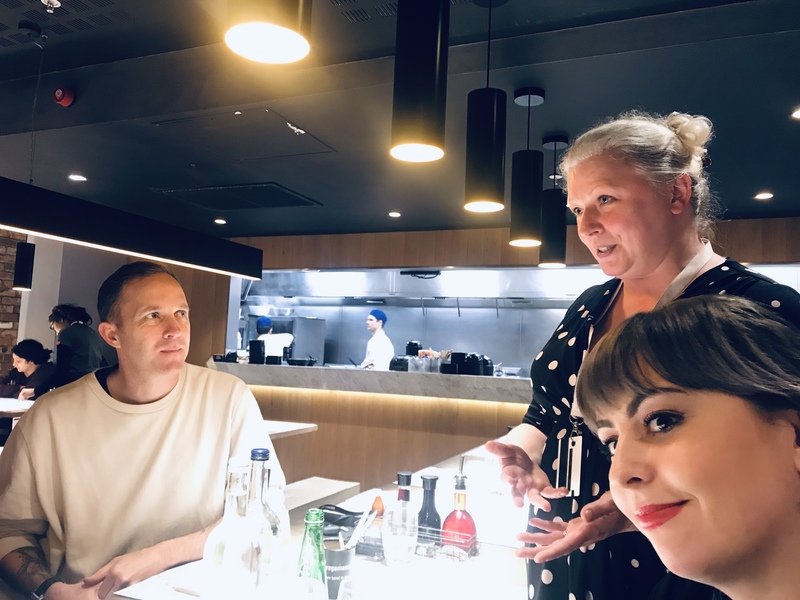 I met with a group of local bloggers and business owners for a talk about mindfulness from the manager and head chef. 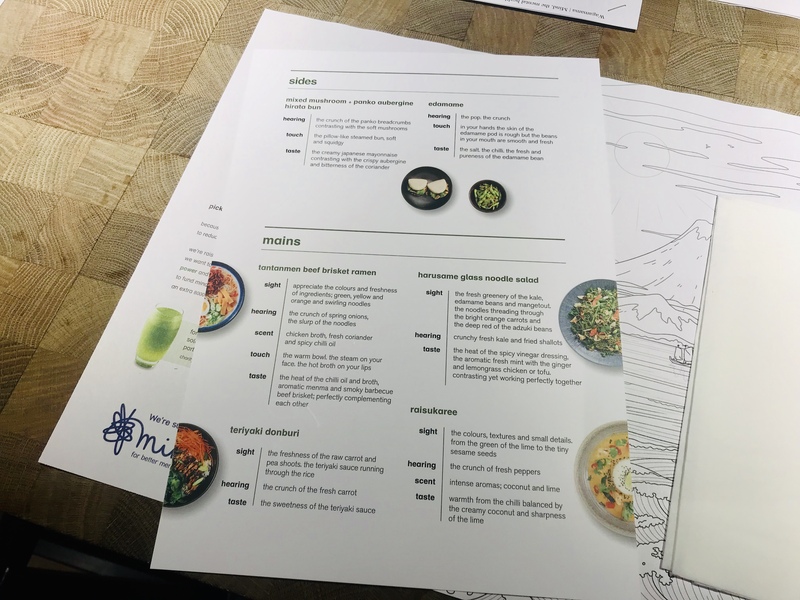 They guided us through a menu developed to engage the senses and promote dinner as a more mindful process. Slowing down was a big part of the process, as was noting the textures and tastes of the food we were eating. It’s all about appreciating the details of any given moment that otherwise could have been overlooked. Practising mindfulness has been proven to encourage calmness, reducing stress and anxiety. A focus on appreciation and gratitude plays a bit part of practising mindfulness too. I’m not going to lie it’s quite difficult when meeting an entire table of people for the first time to talk about such big issues. However, we were all introduced and once we started ordering food the conversations naturally started flowing. Food is a great ice-breaker! 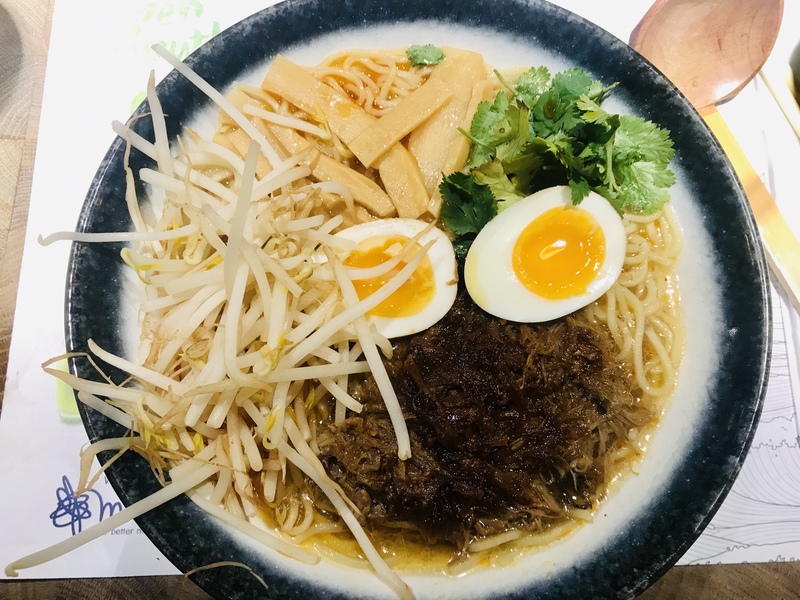 On the topic of food, from the specially crafted mindfulness menu I picked the beef ramen which engaged the most senses due to the textures within the dish. From the crunch of the bean sprouts, to the spice of the sauce this meal is tasty as well engaging. I ate slower, I talked through my day and by the end of the meal felt very relaxed. 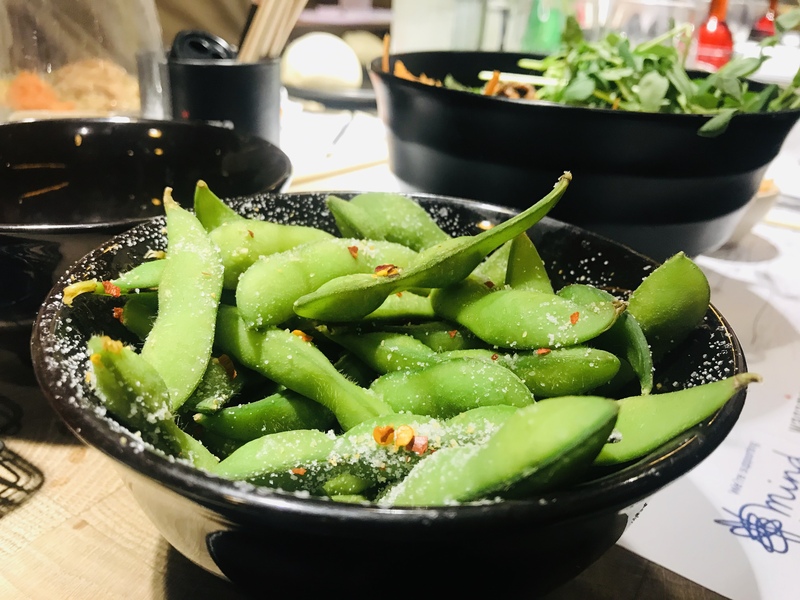 No Wagamama meal would be complete without with my favourite bao buns and edamame beans that I was pleased to see were also on the mindfulness menu. 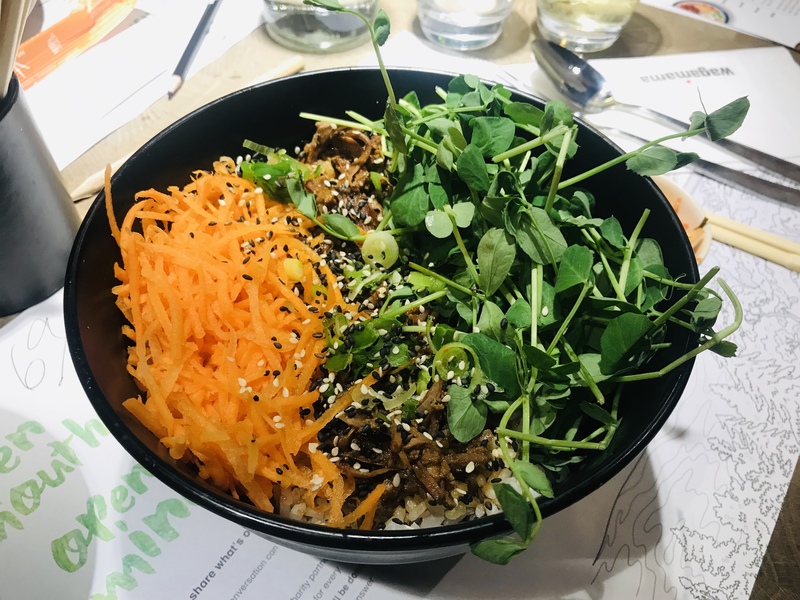 Wagamama are brilliant at dealing with allergies, and as always, dealt with my allergy to raw onion with the seriousness it deserves. 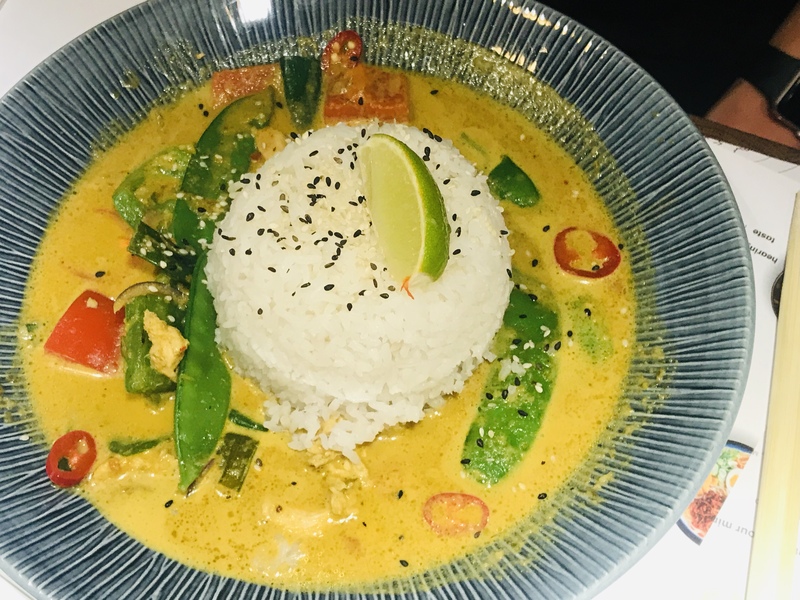 Other dishes like this curry looked and smelt amazing! 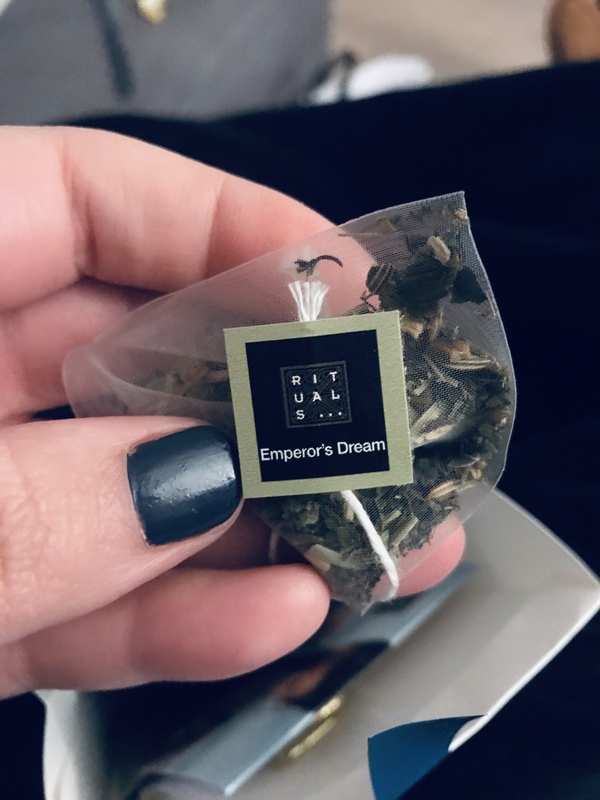 The experience gave me lots of talking points to take back and use with my friends and family, and it helped me take a little more time over my lunch every day. Do you rush? I do! I gobble my food in five minutes and don’t connect with it or appreciate it. This week however I have made a conscious effort to spend longer and value what I am eating. The restaurant is also continuing to sell it’s positivity juice, and from the profits 25p from each drink is donated to Mind. 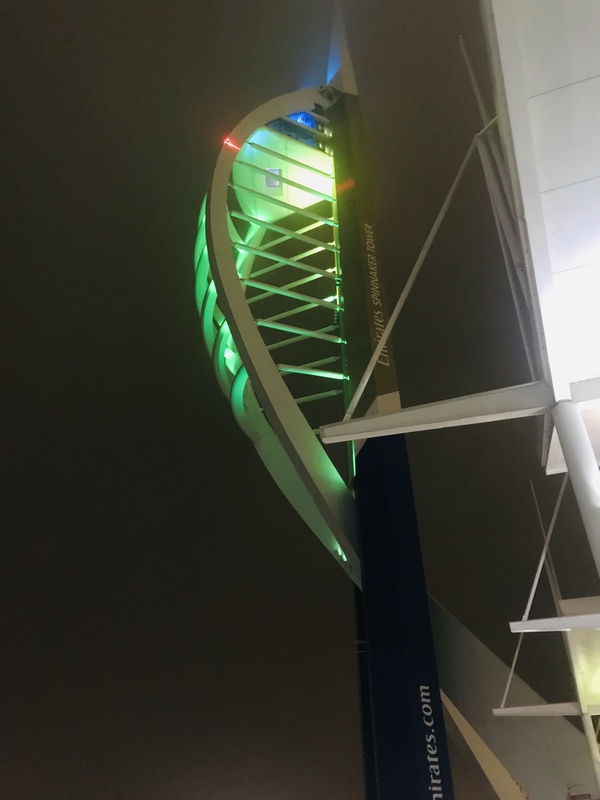 So far this has raised over £25,000 pounds for the charity which is a fantastic donation! 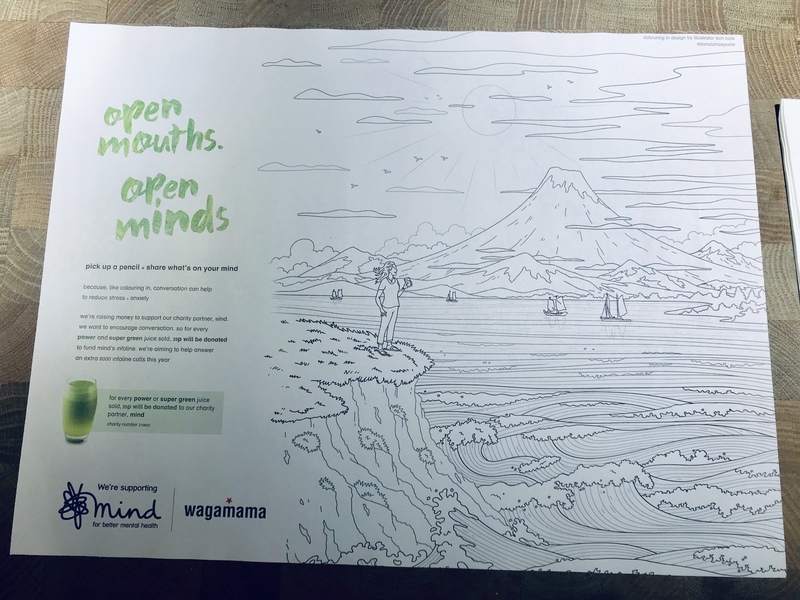 I’m also pleased that the colouring in “mats” the food is placed on is still part of the mindfulness campaign. My boyfriend and I love seeing how different we can make the images look each time we visit – we both find it very therapeutic. We tend to colour and talk about our day which us allows us to unwind and share the things that happened to us that were important, fun or serious. The colouring in place mats are a big hit! 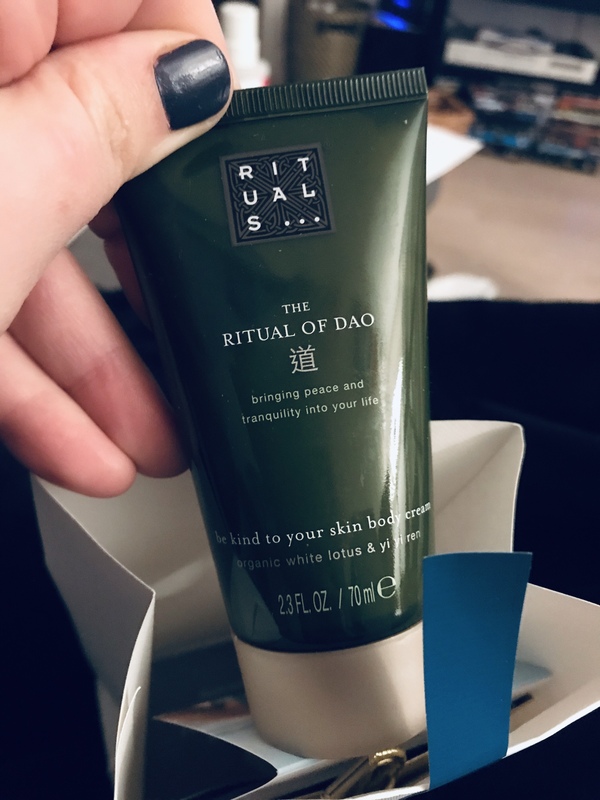 The evening finished with a talk from Rituals, a beauty brand also based within Gunwharf Quays. 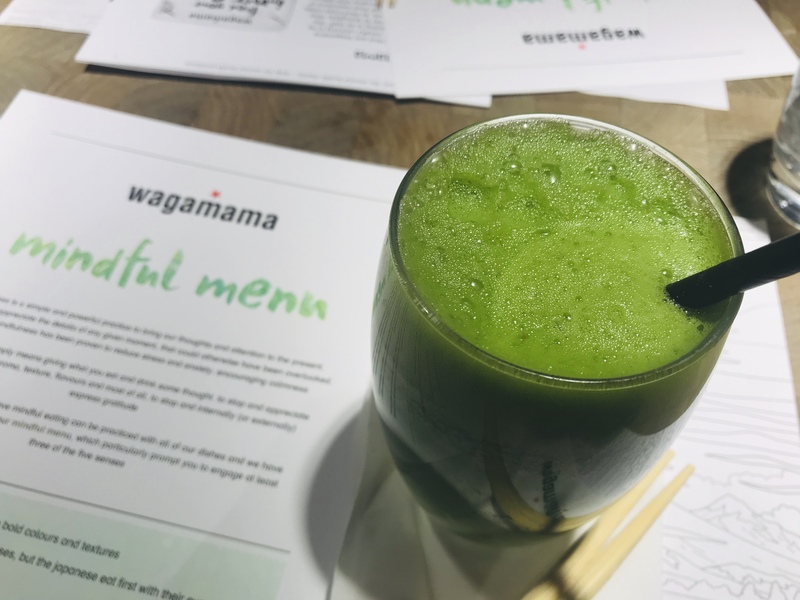 Rituals works on similar principles to Wagamama’s campaign – they both have a focus on slowing down and taking time for yourself. 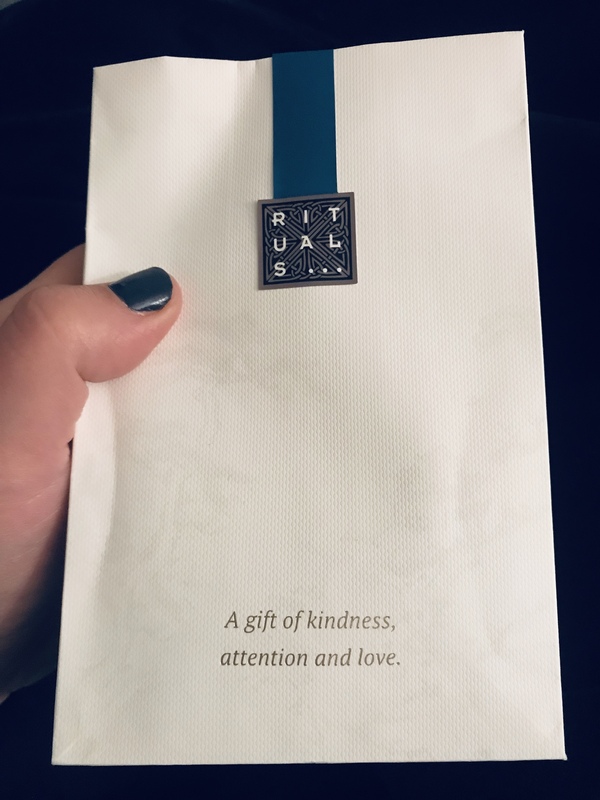 We were gifted a lovely bag of treats which included some Rituals products so we can continue our mindfulness at home. 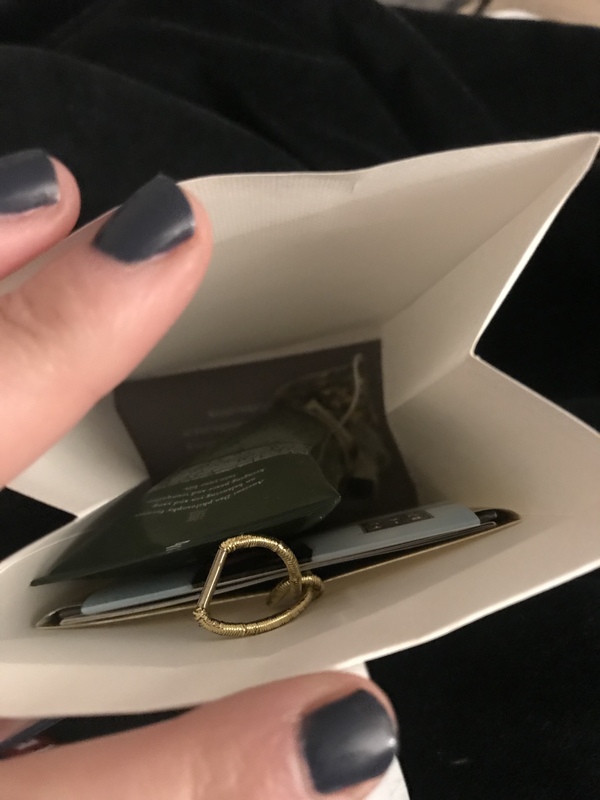 I’m looking forward to using the moisturiser and drinking the herbal tea to continue my mindfulness journey. 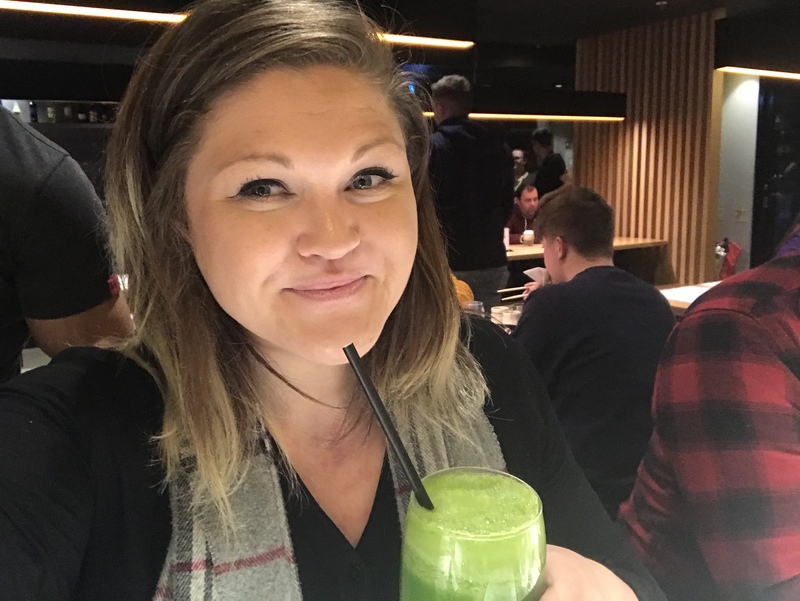 A dinner won’t solve mental health but it can be the opener to important conversations, to share experiences and encourage people to seek the help they need. And, it gave me time to re-connect with myself and to connect with others in a way that other activities do not. Food can be a great leveller. Last year I went through a very difficult period of time, through no fault of my own, and it’s thanks to the support of my boyfriend, family and friends and having some of those harder conversations that let me move past it. Without that I think I’d be in a bad place, and instead I’m feeling the happiest I’ve felt in years. Conversations are important. Conversations are powerful. Your mental health is important – that’s why I think this campaign is so very useful, it helps encourage people to have those conversations, it raises awareness and it could be the starting conversation someone needs to seek help or share their feelings. Being aware of your feelings and being in the moment can positively change the way we see ourselves and our lives. Mind want to help people experiencing a mental health problem get support and respect – find more about how they do this at mind.org.uk. I both appreciate and am grateful for an invite to such a thought provoking event, my supportive friends and family and to all those people brave enough to start those hard conversations. 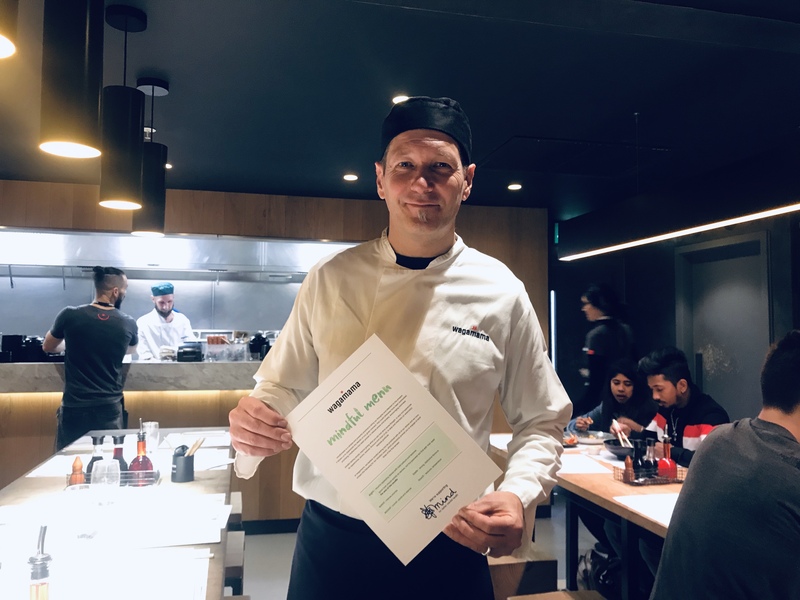 The partnership between Wagamana and Mind continues until September 2019, but I hope it’s something that it continues to develop past this year. What a fun evening and great food! 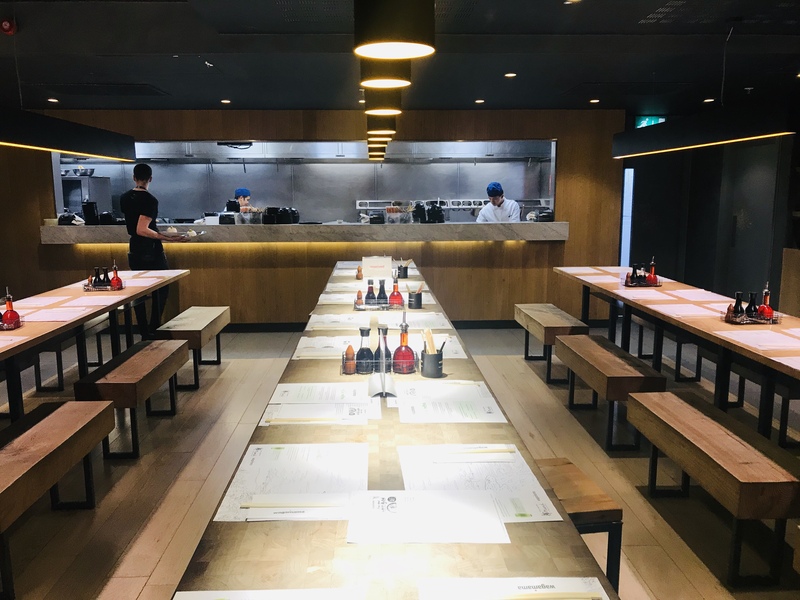 A big thank you to Gunwharf Quays and Wagamama for the invitation! 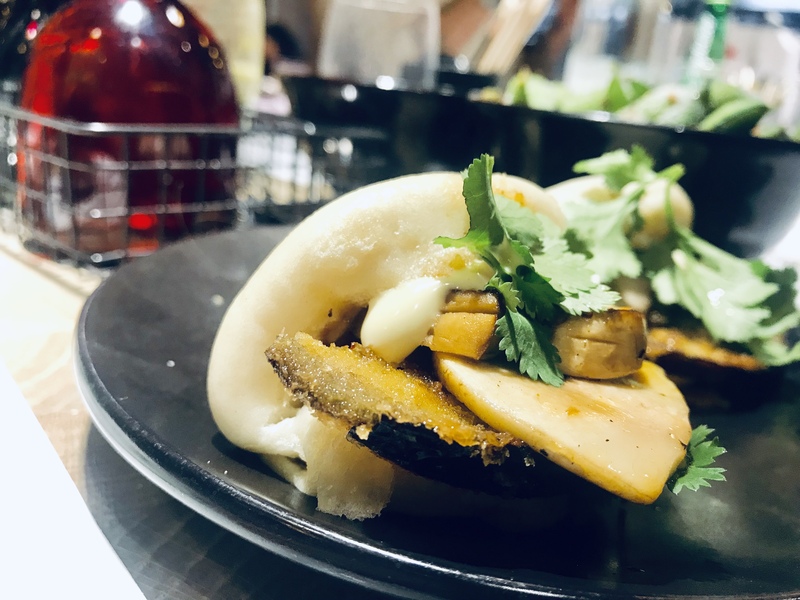 This sounds like it was such a lovely evening, and all the food looks so tasty! It’s important to talk about difficult things, and I think you’ve written this post beautifully.